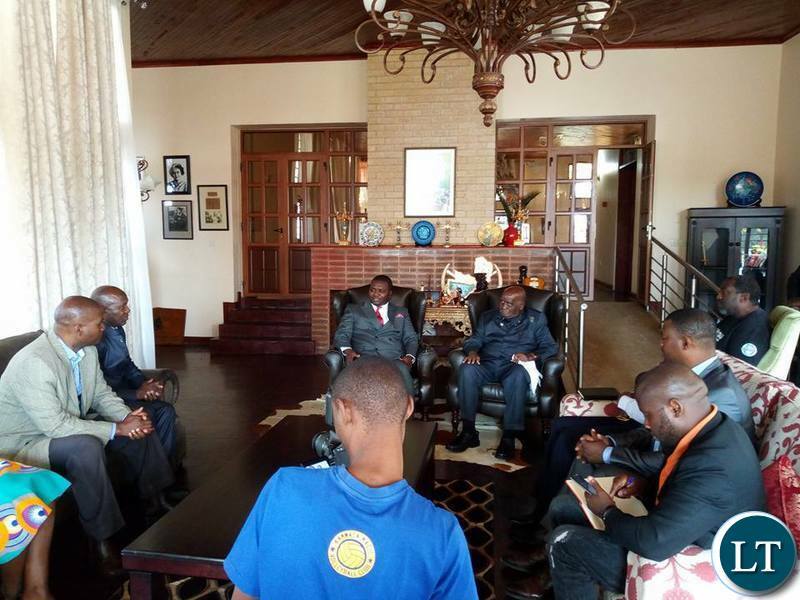 The Board of the Zambia Centre for Interparty Dialogue on Monday paid a courtesy call on the First Republican President Dr. Kenneth Kaunda at his residence in New Kasama. This is an effort by the ZCID to bolster its image as it pushes for greater recognition over the impending national dialogue process. ZCID Board Member Jackson Silavwe said the Board recognises the immense contributions made by Dr Kaunda through interparty dialogue and facilitating a crucial Constitutional amendment culminating into the return of multi partism in Zambia. Mr Silavwe said ZCID believes that the current political leaders can emulate Dr. Kaunda and make decisions that will be an incentive to posterity. 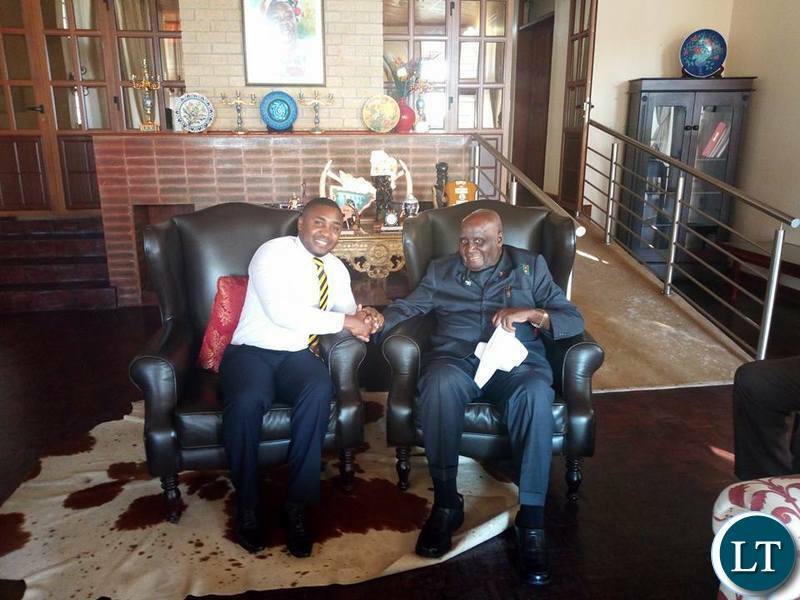 The ZCID Board also wished Dr. Kaunda a happy 94th Birthday. Are you really sure you want Mr Lungu or HH to lead like KK did during his 27 years rule? Are we supposed to be impressed? KK has sat quietly watching this country being driven into the ground so long he gets to celebrate his birthdays. An elder statesman, actually founding father of this nation should be in the forefront to speak against any ills committed by govt against its citizens. KK this is your chance to restore your legacy as before 1971. Iwe KK Airport Cabinet HH and useless Nevers Mumbai committed a crimes. Your supreme leader is out on a nolle. What did you want KK comment on. Ma rubbish. Forgive him he is in the under5 league. Good to see Mr Jackson!!! I personally mentored this vibrant young man when he was just a boy attending David Kaunda Technical School. Those sessions we used to have after prep have prepared you well for national leadership. You people who keep bringing KK into Zambian politics should know that some people died during the riots that brought him down in 1990. This guy killed a lot of people. But because none of your family died you want to publicly praise him. He is watching this country going down without giving counsel because that is how KK is as a human being…he is evil. Some people are still mourning their loved ones who vanished during his reign and you are here saying you want to bolster your image using him???? No wonder you are not achieving anything, and the national dialogue is dead in the waters. You d##kheads. Yes tell them! Some dimwit was aping on about “homourable People” the other day – lots of People have no idea what KK did unto others but as the would unto him; he was absolute cult like Kamuzu and Mobutu…wanna know more – check-out the memoirs or biography of one Aaron Milner who threatened to “Spill the beans” when KK got funny….yes false prophets abound before the plunge into the abyss…zambia shall be free ! !